Does that fear keep you from doing things? Is it something you can control? Well, around here we have a few fears, but the one that I’m going to focus on belongs to my youngest. He is afraid of the dark. Some days er, nights, he deals with it fairly well, other times, not so much. Here comes the interesting part…..
God did not give us a spirit of fear (thank you God for giving us that one). 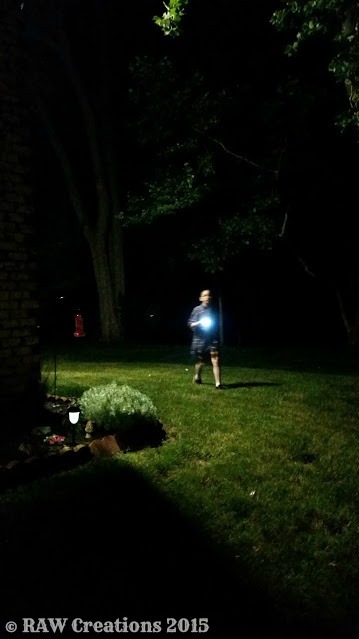 When we were, as a family, creating our summer of idea lists, I placed FLASHLIGHT tag on my list. Why would I do that to my son? Well, because I firmly believe in the two things I talk to him about when he is afraid. What better way to face a fear and do it afraid then when you won’t be alone and there is the potential for fun! The night before we were to play, I sat down and talked with my son about what he thought about this activity. He told me it made him nervous; he wanted to know how the game was going to be played; he asked if I would be there all the time. After talking with him, assuring him, and giving him the run down of the gaming process I asked him if he was willing to try. The next night it was time to play. Now, I don’t know how you play flashlight tag but we play with only one flashlight and sort of combine hide-n-seek with tag. As IT starts counting to 20 everyone else scatters and hides. 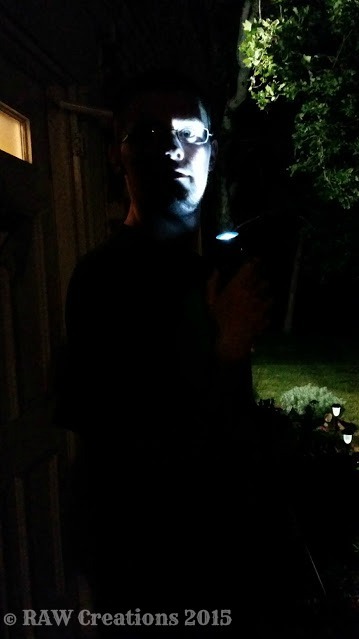 After counting to 20, IT starts looking for everyone, trying to get them out by tagging them with the light. The idea is for the HIDERS to get to the Safe Base (predetermined before play begins) before they get found and/or tagged with the light. Repeat and have a great time! I’m proud to tell you, not only did my son do it afraid, but did it very well and with a great passion and lots of delightful laughter! He told me after the game that hiding was the scary part, especially the first time. Being IT was the best because he had the light. I think that made an impact. Wow you are so creative with your summer fun ideas! And this is a great lesson for all of us – face your fears! Not always easy but usually quite satisfying when you do. Yes, I think it’s a lesson we can all take from. I know I have many things I don’t do because of fear, but I’m learning to do them afraid and not to do them alone if at all possible. This is another one of those simple solutions but certainly not easy to do. I’m so glad you stopped by Nicole!! Thanks for the support through commenting! !